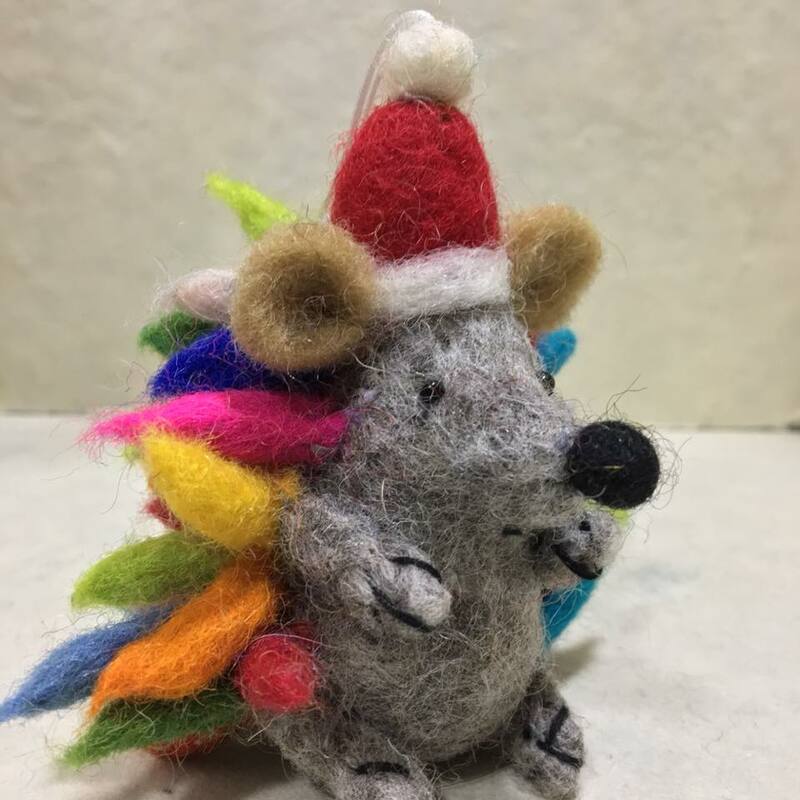 Stock up early for next Christmas with this delightfully sweet little felted wool Christmas hedgehog, complete with his own wee Santa hat, colourful spikes and cheeky beady eyes. 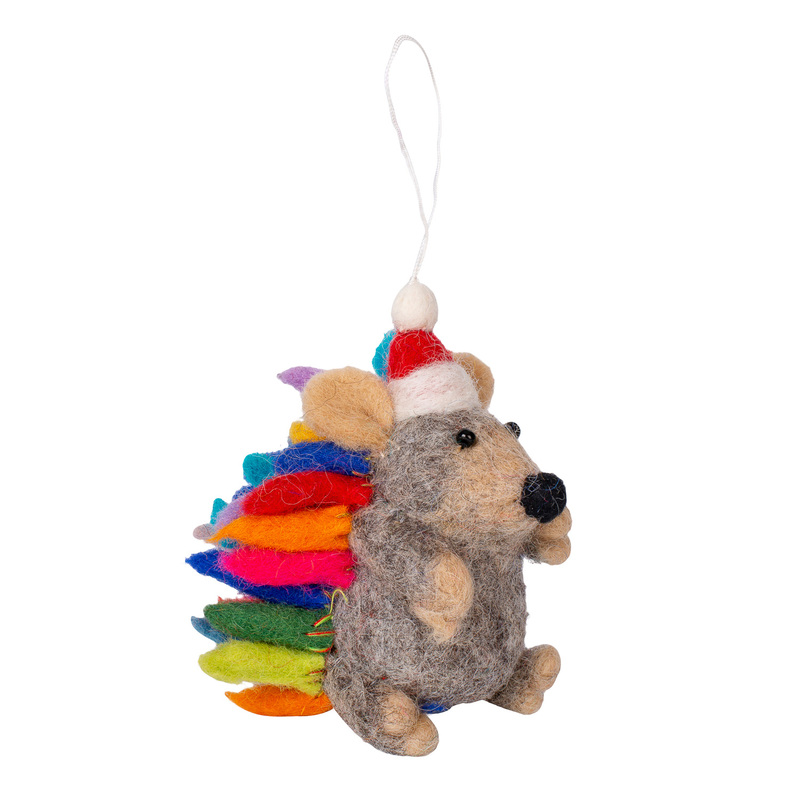 He's great to play with but he also makes a magical tree decoration, hung by his loop on your tree. He looks fab on a windowsill or shelf, too. The felted wool is lovely and soft, and he's incredibly cute. Would your child like one of these as a best friend?